When the five-day forecast predicts 70 degree weather in November, you know you’re smack-dab in the middle of swinter. 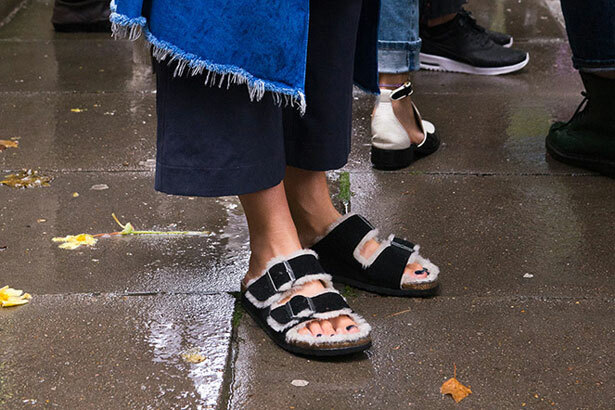 If you’re shaking your head and wondering what the heck to wear right now, we have two words for you: Fall sandals. Dress these bad boys up with a silk dress and leather jacket while it’s still warm or make them office-ready with socks and a suit as the temperature drops. If only everything in life was this easy.